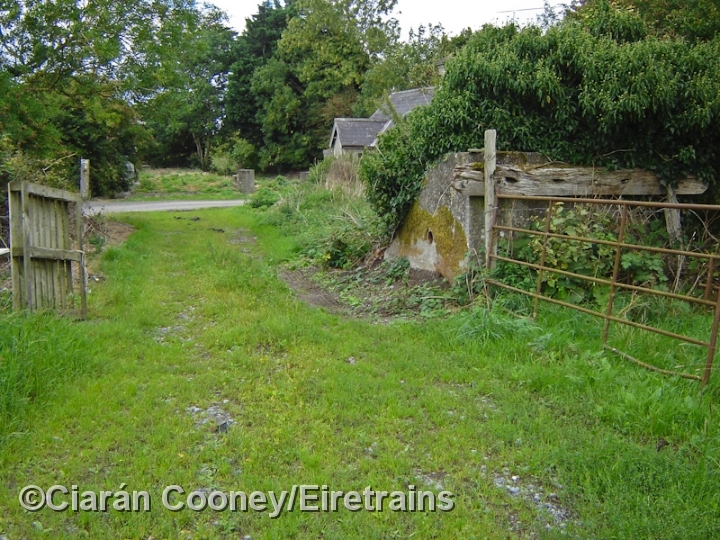 Goresbridge village, Co.Kilkenny, is located on the former 1870 built line from Bagnalstown to Palace East. This line, built initially by an independent company, was later worked by the Great Southern & Western Railway. The line to Palace East lost its passenger and goods services in 1931 and 1947 respectively, but remained open for the seasonal sugar beet traffic and was busy with GAA & other excursion trains also. All of this ceased in April 1963 when the line closed completely. 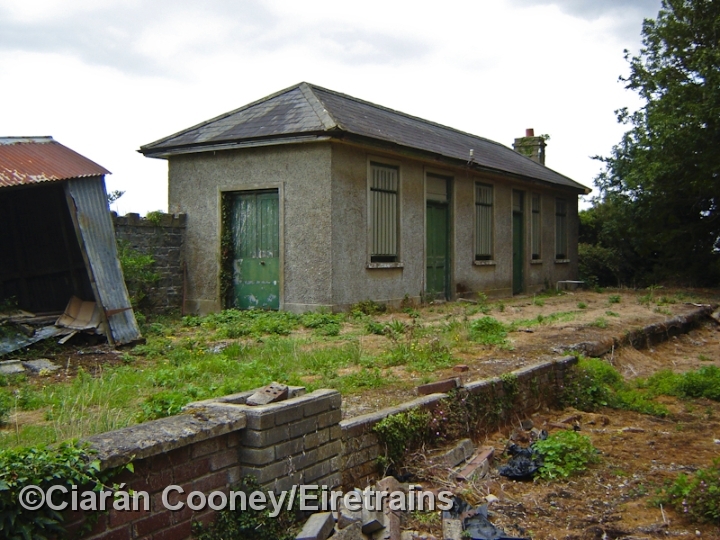 Goresbridge Station had only one platform, single storey station building and an adjacent level crossing keepers house. Today, all of these remain, albeit in a derelict state. At the south end of the station was a siding once used to load the sugar beet traffic, and to this day the concrete buffer stop remains in situ. 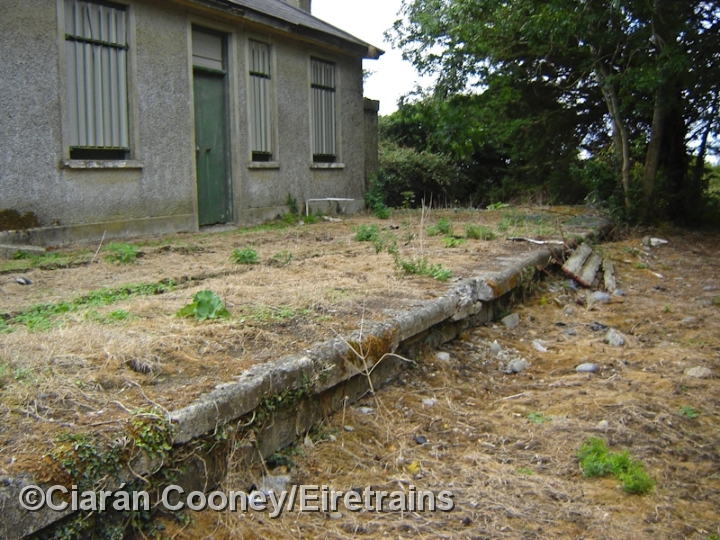 1 Goresbridge Station, on the closed 1963 Bagnalstown to Palace East line. 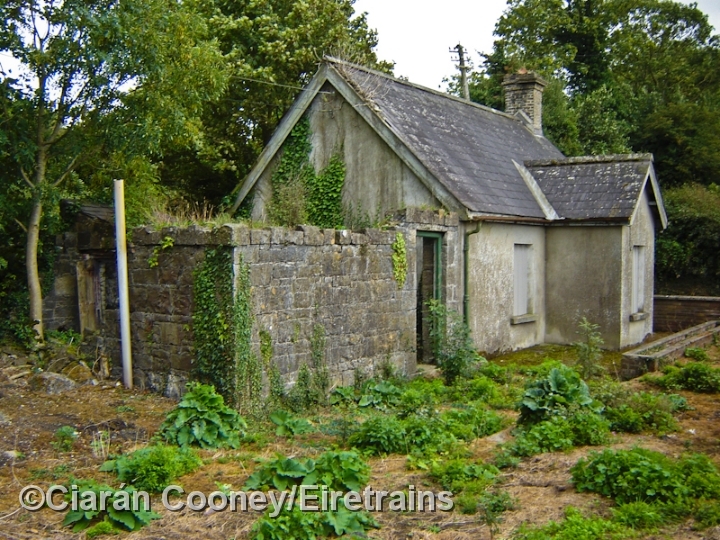 The single platform, station building and gate keepers house remain albeit derelict. 2 The single storey station building at Goresbridge, which remains intact, complete with original doors. The station building dates from October 1870. 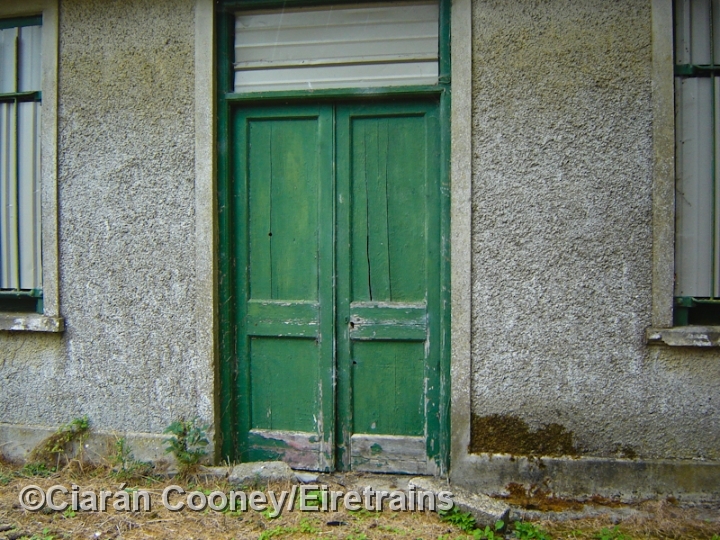 3 The wooden doors in CIE's 1950s green livery remain at the former station building at Goresbridge. The station was last regularly used by passengers in January 1931. 4 The single platform at Goresbridge Station partially remains, the platform and the main building were located on the up side of the line. 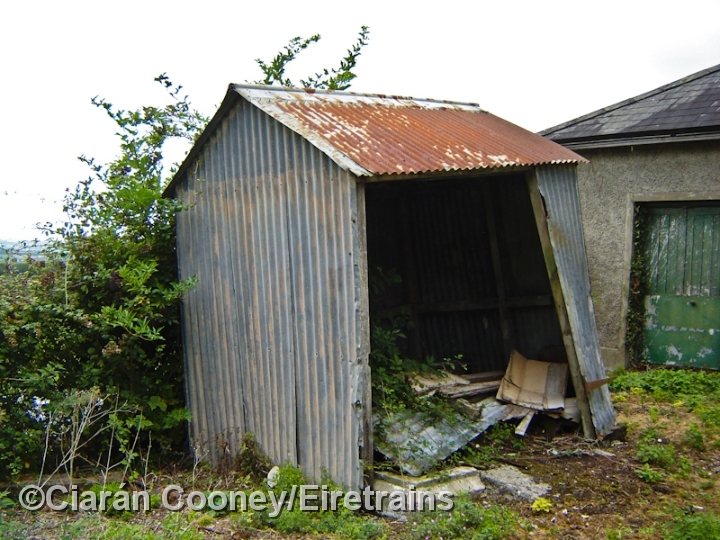 5 The corrugated iron railway hut remains in a battered condition at Goresbridge Station. This hut frequently appears in old photographs of the station. 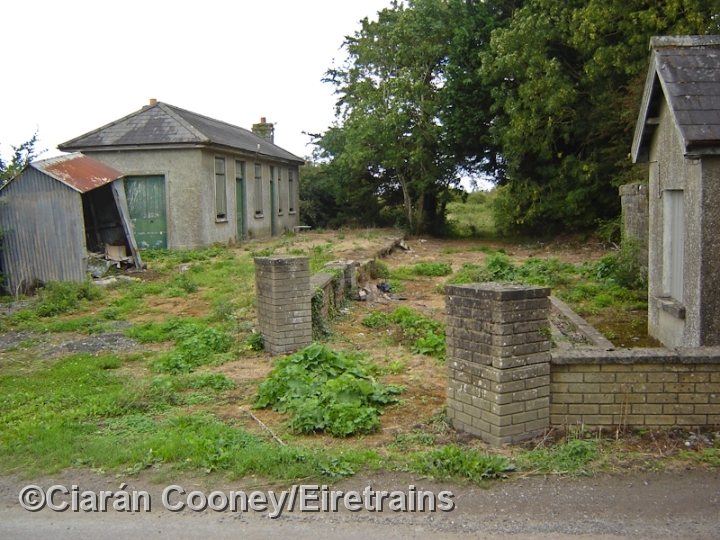 6 The former crossing keepers house adjacent to the station at Goresbridge remains, now derelict and boarded up. The house was occupied sometime after the railway closed, with the vegetable patch extending onto the former trackbed. 7 A concrete buffer stop lies in situ on the south side of the level crossing at Gorebridge Station, complete with wooden sleeper attachment. This siding was in use for sugar beet traffic until the line closed completely in April 1963. 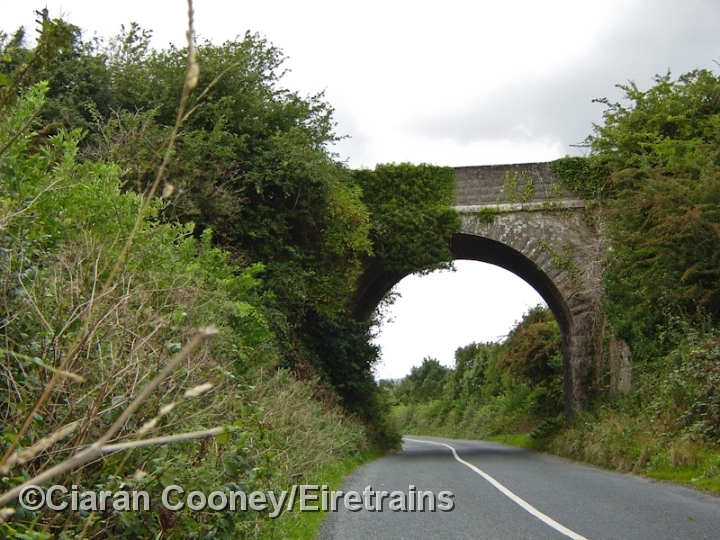 8 The Great Southern & Western Railway's line from Bagnalstown to Palace East is known for its impressive high embankments and bridges. Here is one such rail overbridge located just north of Goresbridge.